The testimonial from Andrew and McKenzie Pope is below. A RealSatisfied survey response has been received for Jasmine Beckingham. The testimonial from Nandini Seshadri is below. A RealSatisfied survey response has been received for Denise Sherman. The testimonial from Zachary May & Maureen Aldrich is below. A RealSatisfied survey response has been received for Marco Carvajal. The testimonial from Charles Reed is below. A RealSatisfied survey response has been received for Bonnie Nicolosi. The testimonial from Kevin & Amanda Nappi is below. “Peter Melito is a rockstar! He took on the task of selling our home within our desired timeframe, for a price that made us happy and he made it all happen. Peter used a combination of online marketing, social media, a mega-open house, and old fashioned hard work to meet our expectations. Most importantly, he did it with easy communication, endless patience, and a smile. A RealSatisfied survey response has been received for Peter Melito. The testimonial from Cindy Lorimer & Louis Rosenberg is below. A RealSatisfied survey response has been received for Tracey Charland. The testimonial from Richard & Michelle Benson is below. A RealSatisfied survey response has been received for Ken MacDonald. The testimonial from Doris McMahon is below. A RealSatisfied survey response has been received for Coty Demers. The testimonial from David Montemayor is below. “I would recommend Amanda to anyone looking to sell their property. Her help and communication in addressing some of the issues that needed to be resolved prior to final closure were much appreciated. A RealSatisfied survey response has been received for Amanda Stewart. The testimonial from Christopher Bisognano is below. 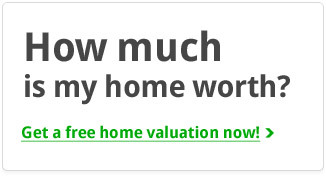 A RealSatisfied survey response has been received for Keith Huntley.